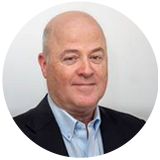 Lyle Cameron is an experienced management consultant and facilitator who focuses on facilitating difficult conversations for clients and helping small and medium-sized organizations execute on strategic organizational objectives. He works with clients across Canada, Europe and the USA and has a reputation for a very practical-minded approach to creating the conditions for collaboration and effectiveness within teams and organizations. Lyle has also been a senior delivery consultant for FranklinCovey® since 1998 and has delivered hundreds of workshops and conferences for FranklinCovey® in several countries, in both English and French. He believes that training sessions should be engaging, informative, thought provoking, real-world driven and delivered within the context of a safe and respectful learning environment for participants.